Subrata Roy's parole, granted on humanitarian grounds following his mother's death and was extended after he had deposited Rs 300.68 crore. Sahara chief Subrata Roy on Friday offered in Supreme Court to pay an additional Rs 300 crore (Rs 3 billion) to Security and Exchange Board of India (SEBI) but said the amount should be adjusted as bank guarantee. A bench headed by Chief Justice T S Thakur directed that the matter be listed next week after senior advocate Kapil Sibal, appearing for Roy, mentioned the matter before it. "I am ready to pay additional Rs 300 crore but this amount should be adjusted as a bank guarantee," Sibal told the bench that also comprised Justices A M Khanwilkar and D Y Chandrachud. On August 3, the Supreme Court had extended the parole of Roy till September 16 with a condition that he has to deposit Rs 300 crore with SEBI. Roy's parole, granted on humanitarian grounds following the death of his mother, was extended after he had deposited Rs 300.68 crore, giving him the opportunity to raise the remaining amount to secure bail in the case. The apex court had allowed the Sahara group to go ahead with sale and alienation of their properties to raise an amount of Rs 5,000 crore (Rs 50 billion) as a bank guarantee which they have to deposit in addition to Rs 5,000 crore to get bail for Roy. For Roy's interim bail, the court had put conditions like depositing Rs 5,000 crore in cash and a bank guarantee of equal amount and tough terms, including payment of the entire Rs 36,000 crore (Rs 360 billion), which includes interest, to be paid back to the investors. 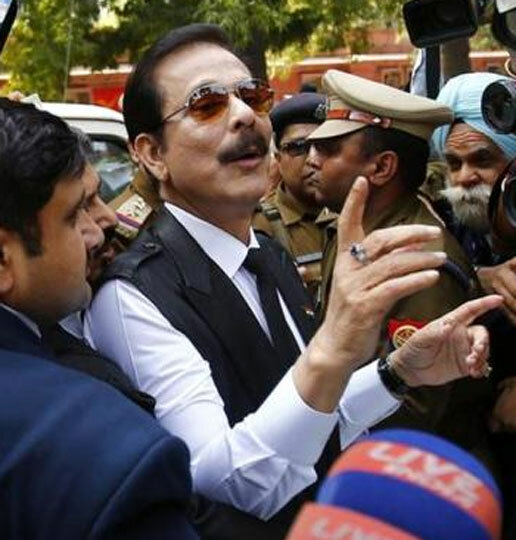 The apex court had earlier asked SEBI to initiate the process of selling "unencumbered" properties of Sahara group, whose title deeds are with the market regulator, to generate the bail money for release of the group chief.